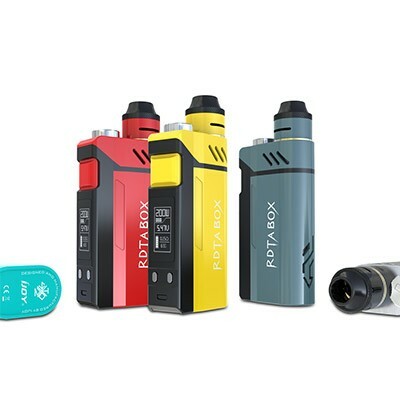 RDTA is a term invented by iJOY to describe the capabilities of its rebuildable tank system, which essentially combines the features of a rebuildable atomizer and rebuildable tank system. 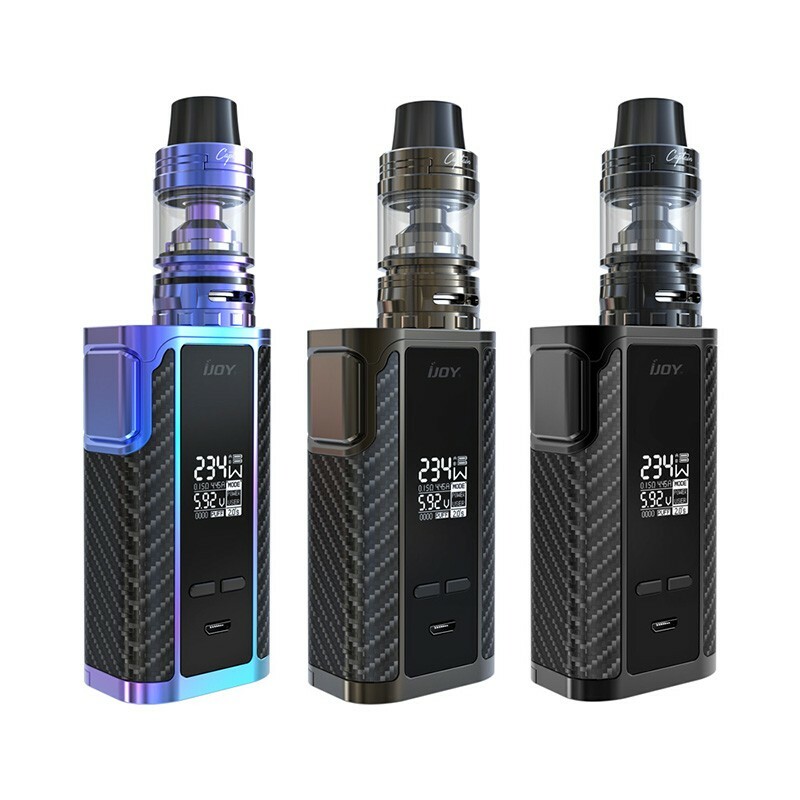 The iJoy RDTA 200W starter kit showcases iJoy’s creative evolution- putting forth only the best cutting-edge technology and superb engineering for what may be the most impressive starter kit accessible to the vape community. The RDTA Box Mod is a mammoth dual 18650 vaporizer that stands tall at 135mm and measures 55mm x 28mm wide. This 200W device houses a massive 12.8mL e-juice capacity that’s accessible via threaded 15mm top-fill mechanism located on top of the device, providing a substantial e-juice reservoir that’s sealed off and completely leak-free. To make this device even more appealing, the iJoy RDTA Box is equipped with an atomizer that is compatible with iJoy’s long line of pre-made IMC coils currently available for the Combo RDTA. The atomizer features a removable wide-bore delrin drip tip and houses a removable two-post velocity style deck that has four large wicking ports cut directly into the bottom of the deck. 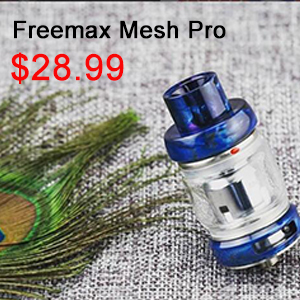 These wicking ports allow the user to feed the cotton wick through the bottom of the atomizer and into the massive e-juice reservoir for fast, non-stop wicking. Nobody likes getting dry hits, which is why iJoy put a LED inside the e-juice reservoir that illuminates when the fire button is pressed, giving the user a brightly lit estimate on how much e-juice remains in the tank. The powerful RDTA Box mod is an attractive 200W Temperature Control device that is fully functional with Nickel, Titanium and Stainless Steel Coils. 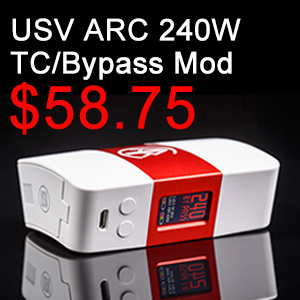 This mod features a large firing button that’s clicky and responsive when being pushed, a large OLED screen, two regulatory buttons, and a MicroUSB port (firmware upgrades only). Similar to iJoy’s Limitless LUX device, the chassis on the RDTA Box is magnetic and slides off to reveal the dual 18650 battery bay. With the device powered on, the bright OLED screen displays the current wattage, voltage, resistance, battery power and vape mode strength. In temperature control modes, the iJoy RDTA box provides several pre-made vape modes that alter how quickly the device heats up and reaches the desired temperature. In User Mode, the user can create their own custom ramp-up settings that will increase or decrease wattage on a 2-second basis. iJoy RDTA Box Starter Kit is a perfect representation of what happens when hardworking engineers think outside of the box and take the path less chosen. It will go down in history as a unique and influential device. The iJoy RDTA Box appeared as the culmination of design and engineering of iJoy. It integrates the critically acclaimed iJoy Combo RDTA platform into a cleverly designed box mod chassis which features an easily fillable 12.8ml tank capacity and a dual battery powered 200W chipset. Designed as a flagship system that covers power, versatility, and longevity, the iJoy RDTA Box is a unique and industry leading platform that excels in each of those categories, packing in an unmatched 12.8ml tank capacity with the incredibly versatile iJoy IMC Interchangeable Deck system. The reservoir of the iJoy RDTA Box has been integrated into the top portion of the chassis, allowing for efficient use of the design, with a dedicated 15mm diameter fill port in which users can quickly and easily refill the entire tank. The IMC system allows for flexible use and integration of iJoy’s entire family, with up to eleven total build deck options (sold separately) that cover the entire spectrum of needs and features. Included with each set is the two post IMC3 deck that provides a flexible and versatile build deck alongside the new IMC Coil 0.15 ohm that features a prebuilt coil design intended to be powered between 50 to 100W. The iJoy RDTA Box features a new IWEPAL powered chipset capable of 5 to 200W of output across four output modes, full temperature control support, and a vibrant, vertically stacked 11.6 inch OLED screen. The device is powered by dual high amperage 18650 batteries loaded from the sliding battery door located at the side of the chassis. Unrivaled in capacity and versatility while packing in a 95% Power Efficient IWEPAL chipset capable of up to 200W, iJoy RDTA Box 200W Starter Kit entrenches itself as this year’s ultimate builder orientated all-in-one system. 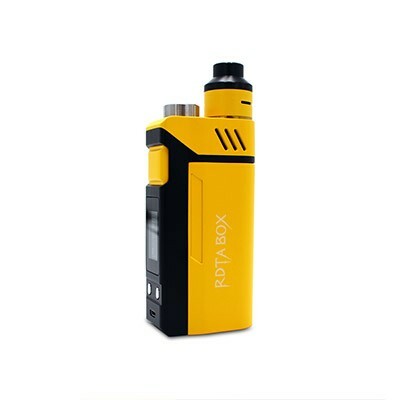 Buy iJoy RDTA box 200w starter kit please go on Urvapin. You will get nice price and service. An all-in-one vaping device, iJoy RDTA Box is designed by Chinese manufacturer iJoy. 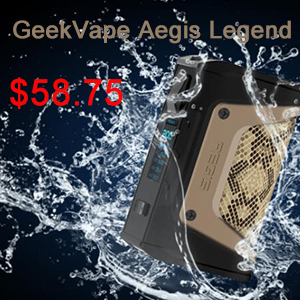 It features a massive 12.8 ml e-liquid tank, 200W maximum power output, interchangeable RDA build decks, as well as temperature control and various other advanced functions. iJoy RDTA box is definitely one of the most interesting devices to come out this year. And the iJoy RDTA Box 200W is just as good as it sounds. The first thing that really catches attention is that the iJoy RDTA Box was the involvement of VapingWithTwisted420 in the design process. Not only is this guy hands-down the most hilarious vape mod reviewer on YouTube, but he also knows a thing or two about vaping devices. I personally think that taking into consideration the input of prominent figures from within the vaping community, who actually know what the community wants, is a stroke of genius, so praise to iJoy for making it happen. If the RDTA Box turns out to be a hit – and I suspect it will – we’ll probably see such collaborations in the future, and that’s something I’m very excited about. The iJoy RDTA Box comes in a large red-and-white cardboard box featuring all the necessary information and warnings. The kit contains the RDTA BOX mod, a disposable pre-made coil – the same one that comes with the iJoy Combo RDTA– a removable Velocity-style build deck, a USB cable (for updates only), a 510 drip tip adapter, a goody bag (Clapton coils, some cotton, spare o-rings and screws), a Phillips head screwdriver, a small plastic brush (probably for fluffing up the cotton), two silicone covers, and a user manual. As you can see, the iJoy RDTA Box comes with plenty of accessories, some of which I haven’t even seen before. How intimate and meticulous the package is! If you are attracted by the iJoy RDTA, please go on Urvapin for it. This is a moderately-sized mod as well – which actually surprised us since we expected that the larger batteries would require a larger chassis to house them. Everything’s designed for maximum compactness, however, making this a decidedly portable device that you should feel comfortable using just about anywhere. Performance is really where mods really separate themselves from their competitors, however – so we were only too eager to leap in headfirst to try this new tech wonder. We found that its 30mm compatibility features made it a perfect fit for a variety of different tanks, so we had a blast experimenting with some of our favorites. And, of course, we ran the thing through its paces, testing the different TC features to see which settings produced the best results for everyone in our test group. 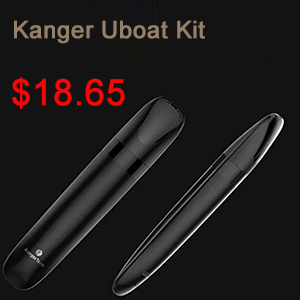 You do have to remember that this type of mod is designed for people who have already tried vaping and want more vape flavor, bigger clouds, and an overall better performance. If your new to vaping then the Halo G6 might be a better option or one of the best cigalikes, this mod maybe a little too powerful for you to start with! 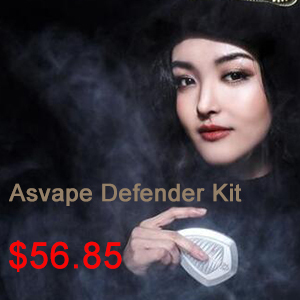 Overall, the consensus seems to be that this is a solid, reliable mod that provided all the sustained power we needed to blow big clouds of vapor while maximizing the taste results we enjoyed from each vaping session. In our tests, we also discovered that the sustained 40 A claim is real. Like I said, this device is very reliable and seems to be everything that we’d heard it would be. Before we give you our recommendation, though, there’s another area of aesthetics that we should discuss. If you’re someone who has troubles picking out which shirts to wear, then you might want to have a friend help you select your mod. Why? 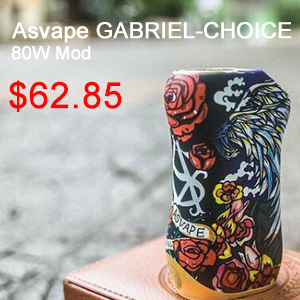 Well, IJoy is offering this mod in no less than 54 separate combinations of color options. Some might find that to be overkill in the choice department, but there’s something comforting about knowing that a company cares that much about meeting your specific needs.